Michael van den Ham is an under-23 Elite rider on the Cycle-Smart Elite team. 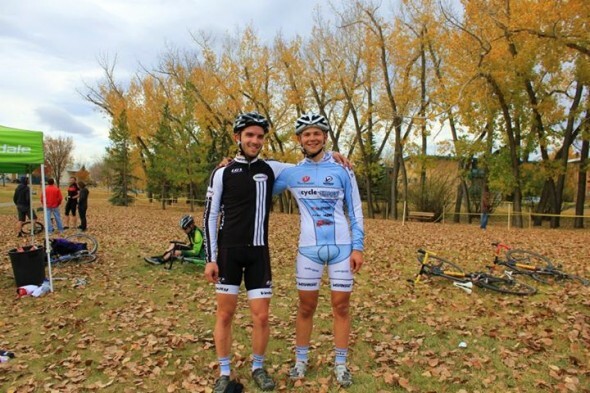 Michael raced for Canada to 31st place at the World Championships in Louisville, Kentucky, and will be racing the New England cyclocross season in hopes of bettering his result in the upcoming Hoogerheide World Championships. Here, and in coming weeks, he’ll be filling us in on what life is like as an Elite cyclocross-specific racer. I would venture to assume that the vast majority of us cyclist folk can trace our entry into the pedal-powered world to another individual, or at least, a group of individuals. Sure, many of us learned to bike as young children, but in a North American sporting culture dominated by hockey, baseball, football, and basketball, it would be fair to say that very few dreamed of growing up too win le Tour, never mind growing up to become a ’crosser. For myself, I began racing under the unconscious influence of my oldest brother, who had taken up road racing after he moved away for university. Similarly, I found the joys of cyclocross after a friend at the shop I worked for convinced me to take a run at it. Just as this sort of ‘individual experience’ plays a part in the birth of a cyclists, it also plays an even more important role in that same cyclist’s development and improvement. 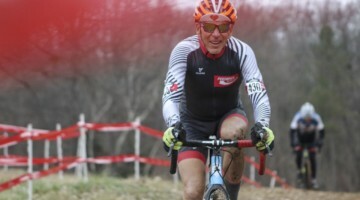 Of course, this is hardly a secret: most racers, myself included, have spent thousands upon thousands of dollars paying for top level coaching, attending camps, and spent a substantial amount of pre-race time shamelessly riding mere inches behind the rear tire of a ‘pro’ as they warm up on course. Yet, even in this mimicry, there is an element of improvement that simply cannot be obtained without, for lack of a better term, a hands-on mentorship from a more experienced racer to a less one. 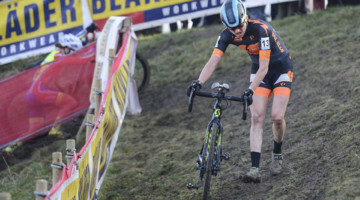 As this definition explains, mentorship extends far beyond the scope of the aforementioned mimicry; fortunately for young cyclists such as myself, the North American cyclocross scene is filled with experienced ’crossers who are more then willing to invest their time and energy into the future of the sport. It can almost be compared to the difference between going to a university class, or simply reading the textbooks on your own time. Although each may contain the exact same content, although one could certainly read book after book about “Cyclocross Post-Race Recovery for Dummies” (if it existed) or “A Beginners Guide to Mental Infallibility,” this abstracted learning method is no comparison to the hands-on, instantly observable, and quickly correctable learning environment that a mentor type relationship provides. 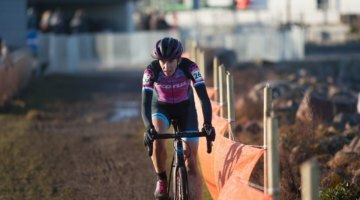 For myself, this mentorship comes primarily from two CycleSmart coaches: president and head-coach, Adam Myerson, and my personal coach, Shaun Adamson. Both Shaun and Adam have both provided me with invaluable experience and opportunities: They’ve done everything from driving with me to races, to encouraging me to move to New England, to standing in the pits for me, to organizing sponsors, to teaching me to do a proper warm-up, to engaging in a post-race analysis. These mentors are not doing it because they are expecting to get anything from it more substantial then goodwill. 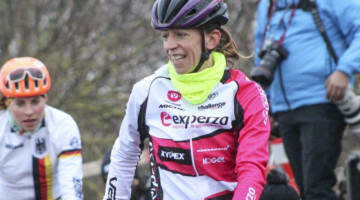 Rather, they are doing it simply because they love the sport and the experiences it has given them and, likewise, because they want others to be able to share that same love and live their own ’cross-fueled experiences. While these people and their goodwill have been the single largest sporting influence on my racing, it is not something that I can ever hope to repay directly and nor would they want it to be. 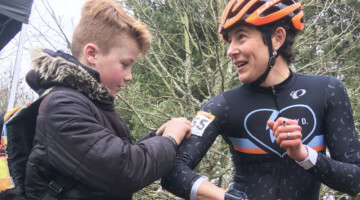 While this lack of repayment may be irksome, perhaps all I can do, perhaps all that all cyclocross apprentices can do, is become this same type of mentor to cyclists less experienced then themselves. And, in that, continue this all important trend of apprenticeships into a newer generation of ’cross racers.